On Wednesday 14th February 1894, Thomas Pitkin, a life-long inhabitant of Swanbourne, appeared before the Royal Commission on Old-Age Pensions, being held in the Queen’s Robing Room in the House of Lords, Westminster. He was 67 at the time, and the evidence which he gave about his own personal experiences formed part of the evidence considered by the Commission and which formed a growing body of evidence for the need for some kind of state-funded pension for the elderly. However, it was not until 1909 that a pension was eventually granted, and Thomas himself only benefited for a year or so before he died in 1910. Thomas Pitkin was born 1826, to a single mother, Sarah, who was described as a servant, and was baptised at the Parish Church on 2nd April – which he says, in his evidence, was his birthday. He appears in the 1841 census as a 15 year old agricultural labourer, living with his mother, step-father and his step-father’s 15 year-old son, as his mother had married Benjamin Gurnett, a widower with a son Thomas’s age in 1833. Whether or not it was a love-match, it must have been a mutually beneficial arrangement. But Sarah died in August 1842, and then on 8th November 1846, Thomas, recorded as a 20 year old labourer, married another Sarah (Hobbs), a Swanbourne Lacemaker, also aged 20. Together, Thomas and Sarah went on to have 8 children – William, George, Charles (died in 1852 aged 10), Arthur, Henry, Jane, Daniel and Mary Ann. By 1871, they had moved to Mursley, where Thomas and the two older boys worked as farm labourers, whilst Sarah was still lace making and Jane was a straw plaiter. Between themselves, they probably managed to earn enough for a reasonable standard of living. But Sarah died in 1874, aged just 47, and by 1881, Thomas had moved back to Swanbourne, living in Nearton End and continuing to work as an agricultural labourer. At that time, only Henry, a 25 year old agricultural labourer and Mary Ann, a 15 year old Lacemaker, were still living with him. In 1891, the 65 year old Thomas was living on his own, Mary Ann having married Daniel Elmer from Whitchurch in 1883. However, she was living only a few doors away, and this was still the situation at the time that Thomas appeared before the Royal Commission. But by 1901, Thomas, now aged 74, had moved in with Daniel, Mary Ann and their five children. Thomas died in 1910, aged 84, and was buried on 29th June in the cemetery in Swanbourne. He would have started drawing an old age pension of 5s a week from January 1909, following the passing of the Old-Age Pension Act 1908, by the Liberal Government. 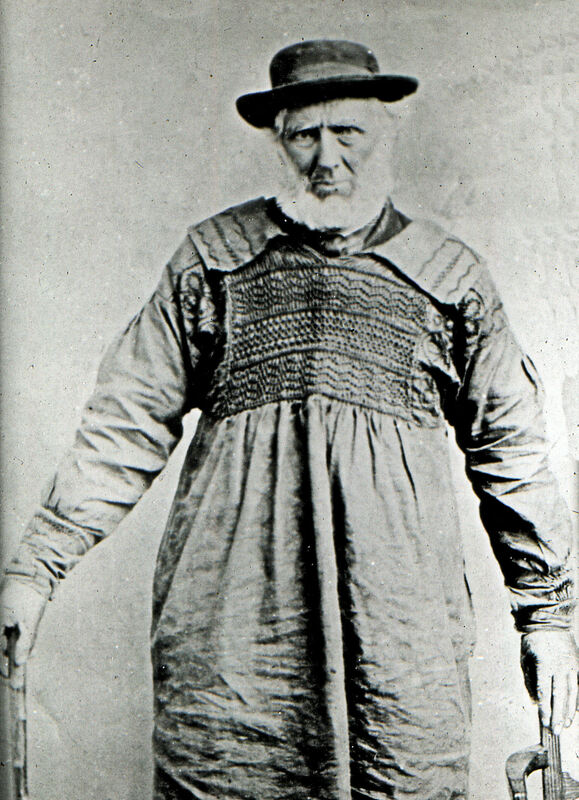 As well as his contribution to the Royal Commission, he is remembered as a district councillor and also one of the last, if not the last, of the Swanbourne labourers to wear a smock. 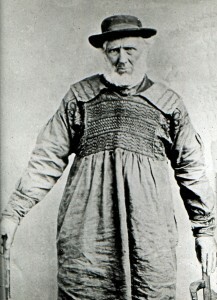 The smock is now part of the collection held in the Aylesbury Museum. As was often the custom at elections in those times Pitkin had a slogan: ‘Don’t vote for Darky whose top of the plan. Vote for Pitkin the labouring man.’His opponent Cornelius Colgrove was nicknamed ‘Darky’. He was very unpopular with the labouring class, but did eventually succeed Pitkin as District Councillor. I do not believe that Pitkin could have achieved so much without a degree of patronage from the second Lord Cottesloe.